It’s August in Maine and the blueberry season is in its peak! The Downeast Coast of Maine (Washington County) is well known for 2 things – the Quoddy Head Lighthouse and the blueberry barrens filled to the brim with blueberry bushes, which right now are perfect for harvest. 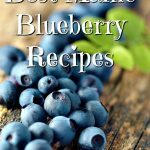 And that means its the right time for me to dig out all my blueberry recipes. 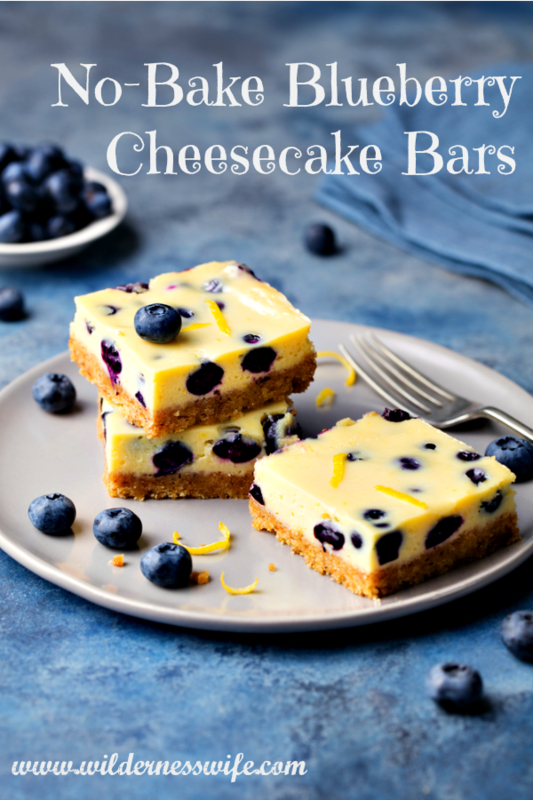 No-Bake Blueberry Cheesecake Bars are a favorite this this time of year because its hot and muggy and No-Bake sounds like a COOL idea. 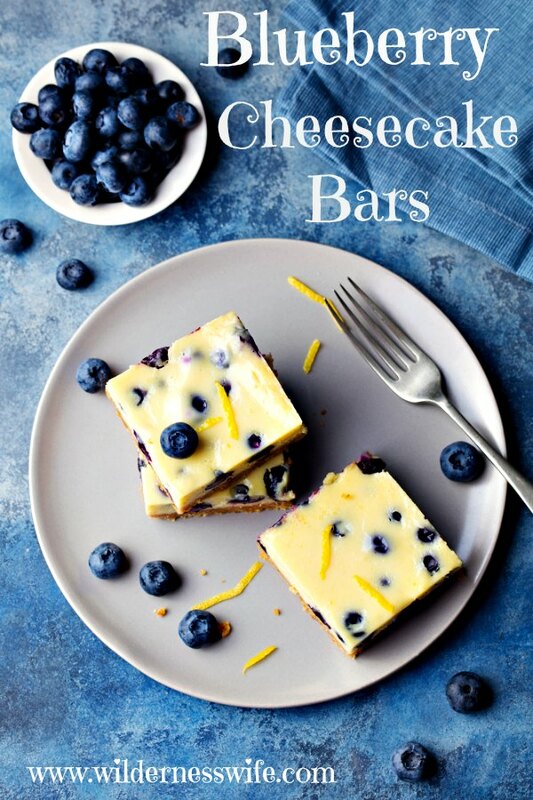 Blueberries and Lemons …..a cheesecake culinary match made in heaven! 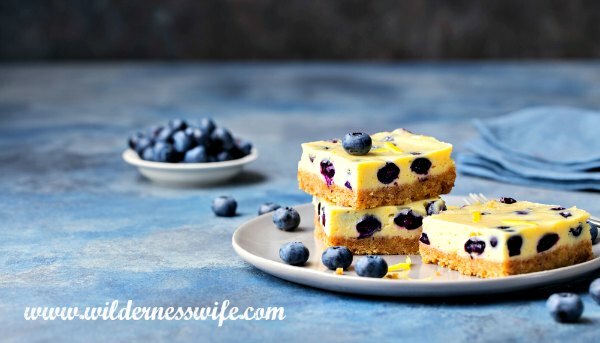 This recipe combines 2 of my favorite things – lemon and blueberries. 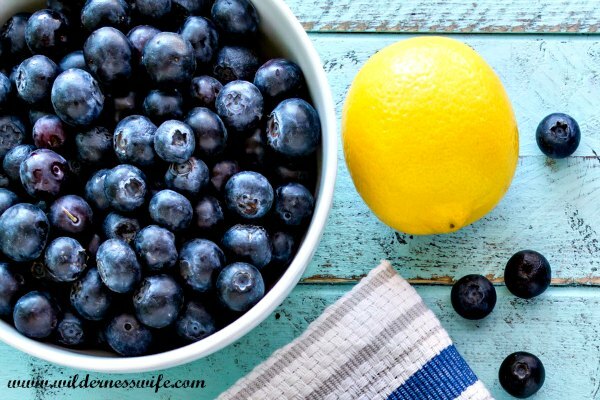 There is something about the combination of lemon that brings out the deliciousness of blueberries. The lemon also gives a little acidity to a dish that could get too sweet. This recipe uses fresh lemon juice and fresh lemon zest. Be careful when zesting your lemon so that you only get the yellow portion of the peel. The white pith is very bitter so be cautious when grating. 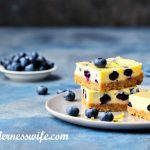 No Bake Blueberry Cheesecake Bars are the perfect summer dessert! 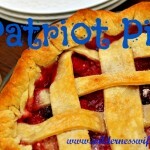 This is the perfect summer dessert recipe! Now for some hints that make it easy to make. We will be using a graham cracker crust but you do not need a food processor for to crush your graham crackers. A plastic freezer bag and a rolling pin will get the job done easily. Don’t overdue with either method! You want graham cracker crumbs not graham cracker dust. I spray my pan with baking spray then line it with parchment paper (you can also use aluminum foil) so you can remove the bars from the pan for easier cutting. Let the parchment paper hang down over the sides of the pan about 2 inches to give you “handles” to lift with. This recipe has to cool and set up in the fridge for 4 hours so make it first thing in the morning. I leave my cheese out overnight so it is room temp when I start in the morning. You can make a “lite” version of this with a couple of substitutions! If you are trying to lose weight or if you want to make a diabetic friendly version you can make a couple of substitutions that will make a more diet friendly version. Substitute a sugar-free sweetener for the sugar called for in the recipe. Substitute Neufchatel cheese for cream cheese as it contains less fat than cream cheese. Use a sugar-free version of the whip topping to reduce sugar content further. An easy recipe for the perfect cool summer treat. 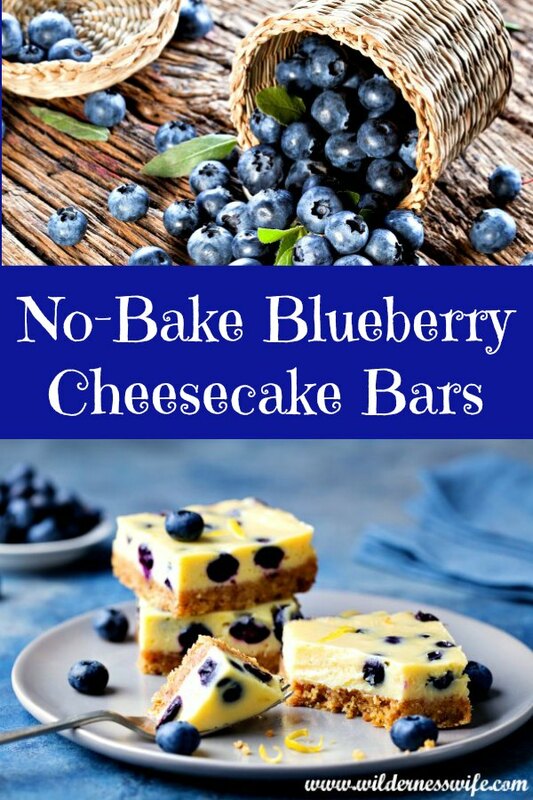 No-bake means no extra heat in the kitchen when you make this yummy blueberry dessert. Line a 9 x 13 baking pan with parchment paper with 2″ ends extending over the edge of the pan (to use as handles). Mix 2 tbs of sugar with graham crackers, and then add melted butter. Press graham cracker mixture into bottom of pan and then refrigerate while preparing filling. Beat cream cheese with 1/2 cup of sugar until well blended. Add lemon zest, lemon juice and vanilla and combine thoroughly. Gently fold in whipped topping. Add blueberries stirring gently. Spoon over crust and smooth for even distribution.